← Moletto in Veneto for really good wines! 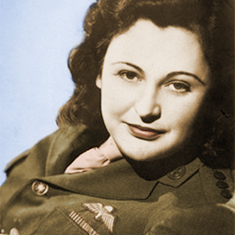 MOST intrepid and fearless Special Operations Executive, Nancy Wake lived for many years of her twilight years. The Stafford Hotel in Mayfair is a shining example of old world charm and elegance. From my hotel, the marvellous and opulent Mandarin Oriental Hotel in Hyde Park, I travelled to Mayfair to find this chic boutique hotel decorated with a large US flag and an equally big Union Jack. It is tucked away in a secluded and very quiet cul-de-sac off St. Jame’s Street and quite near the Beretta boutique. See “Beretta, Cavallo and Vinitaly”. Pierre, the French EAM welcomed me warmly and brought me to Nancy Wake’s favourite haunt …the American Bar. Eclectically decorated with posters and memorabilia with mainly an American, military and law enforcement themes…Rows of baseball caps hung from the ceiling in one sector. I found Nancy Wake’s corner at the end of the Bar with a framed photo of her in WW2 looking beautiful and glamourous. ‘What would you like to drink, Sir?’ The Head Mixologist, Erik Ryhnavsky, asked me politely. “Gin and Tonic! was my reply” After all…what else can any self respectable spook drink other than what Nancy Wake, aka ‘The White Mouse” enjoyed every day!! She would have several and then had to be assisted to go up to her room…It was a most refreshing cocktail redolent with the addictive aroma of Juniper berries…made with Tanqueray Gin and Schweppes Tonic Water. I drank a toast to this awesomely brave heroine of WW2, who the notorious Gestapo tried to catch but failed…this lady-like SOE officer who even killed an SS sentry with her bare hands…The tall bar stool is still there where she used to sit. Of course it was against the wall and had a good view of the bar. It is the least you could expect from a veteran of no-holds-barred covert combat deep behind enemy lines in occupied France n’est pas. All spooks know that with your back to the wall…no enemy can creep up and ambush you from behind…Ah, if I was around at that time I would definitely have been madly in love with Nancy Wake. I adore SAS-strong and smart women! Weak, bimbotic women bore me no end. Appetizing Bar Snacks on a long rectangular plate included seedless green olives, potato crisps and Japanese crunchy rice cracker sand nuts. I adjourned to the lovely Lyttelton restaurant for dinner. A glass of Lanson NV Champagne made for another super aperitif…the luxurious decor of this restaurant in the hotel was most welcoming and comfortable. The cuisine is remarkably good! The Travelling Gourmet TM strongly recommends the sublime Stafford for its history and its warm welcome, and cosy ambience plus excellent food and wines! MAYFAIR is a very posh area of London, and very near the splendid Stafford Hotel, I discovered Dukes Hotel and its Cocktail Bar, which was a favourite haunt of Ian Fleming. Legend has it that Ian Fleming created James Bond’s Vodka Martini ‘shaken not stirred’ here in the bar with the help of the Bartender…The classic Martini actually is stirred and NOT shaken to preserve the clarity of the cocktail. However, Ian Fleming clearly wanted his hero and alter-ego to be a man who would be unconventional when it suited him. I wanted to takes photos of the rather small Cocktail Bar but the blond lady with a Slovakian accent told me that photos are not allowed. How every odd and rather off-putting! an autographed photo of Sean Connery as James Bond 007 in the 1st Bond movie “Dr. No” was displayed at eye level at the small entrance to the Bar. Yet another oddity…The tables around the bar all had ‘Reserved’ signs on them…Oh, how bizarre! To be brutally frank, I was NOT impressed with this rather offhand and arrogant attitude of Dukes Cocktail Bar to its customers. 007’s Vodka Martini is not cheap either at 18.80 Sounds Sterling for a glass! I may hang up my cloak here…but I will most certainly keep my razor sharp dagger in this cut-throat place! Special Operations Executive (SOE) was a top secret British Second World War organisation created in July 1940. Following the fall of France in June 1940, Prime Minister Winston Churchill tasked Hugh Dalton with forming SOE with the instruction to ‘set Europe ablaze’ by helping local resistance movements and conducting espionage and sabotage in enemy-held territories. Colonel Colin Gubbins, SOE’s first head of training and operations, organised in-depth training for recruits in unarmed combat, firearms, sabotage, silent killing, explosives and wireless communication techniques. Research and development stations were set up near Welwyn in Hertfordshire, where scientists and technicians worked on unconventional specialist weapons, sabotage equipment and camouflage materials. In November 1940, as the Luftwaffe pounded Central London, SOE set-up its first headquarters in two family flats off Baker Street. From this unlikely venue SOE began to recruit men and women to fill their ranks. You can see the commemmorative plaque there today, near 221B wahahah, the home of Sherlock Holmes. Senior staff in SOE were mainly Oxford and Cambridge alumni but included men and women from all walks of life including Chefs. 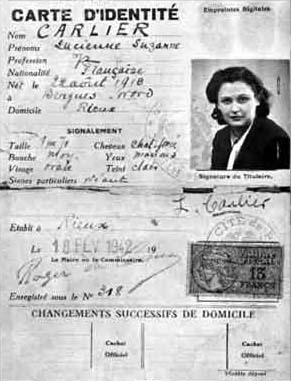 Intelligence Officers/operatives operated in countries under the brutal occupation of Nazi Germany, including France, Belgium, Greece, Albania, Yugoslavia and Italy. They also operated in the Far East in a branch known as Force 136. Operatives were generally dropped on moonless nights by parachute, although some infiltrated by submarine. SOE also had a Naval Section, which used small boats to put agents ashore. Secure and well-organised radio communications between SOE headquarters and agents in the field were crucial, as living and operating secretly behind enemy lines was extremely hazardous. If discovered, agents risked arrest, terrible torture and execution. Of the 470 agents sent into France, 118 failed to return. Many successful covert 0perations include the destruction of the Norsk Hydro Plant in Norway in 1943, which was manufacturing heavy water for the Nazis’ atomic bomb programme. By 1945, SOE was a major organisation with intelligence networks extending across Occupied Europe and the Far East, and had over 13,000 men and women in its ranks. Its sister organisation the OSS (Office of Strategic Services) was the forerunner of CIA. Many illustrious OSS veterans of WW2 like the late William Colby achieved high rank in the Company, in his case DCI Director Central Intelligence). Their experiences from vicious unconventional warfare behind enemy lines greatly influenced the policies and methods of the Company (CIA) in its early years. My dark side is a very dangerous place to be. This entry was posted in Art, Chocolates & Desserts, Commercialism & Hypocrisy, Fabulous Food, Gorgeous Wines!, Hotels & Resorts, Let them eat Cake..., Nobody's perfect..., obnoxious and arrogant people, Organizations, Philosophy, Rude, Snacks & Little Bites, Travel, Voyages, Wine Appreciation and tagged American Bar, Behind nazi lines in France, Dr. Michael Lim The Travelling Gourmet TM, Lyttelton Restaurant, Nancy Wake SOE heroine, SOE, SS, The Stafford Hotel. Bookmark the permalink.